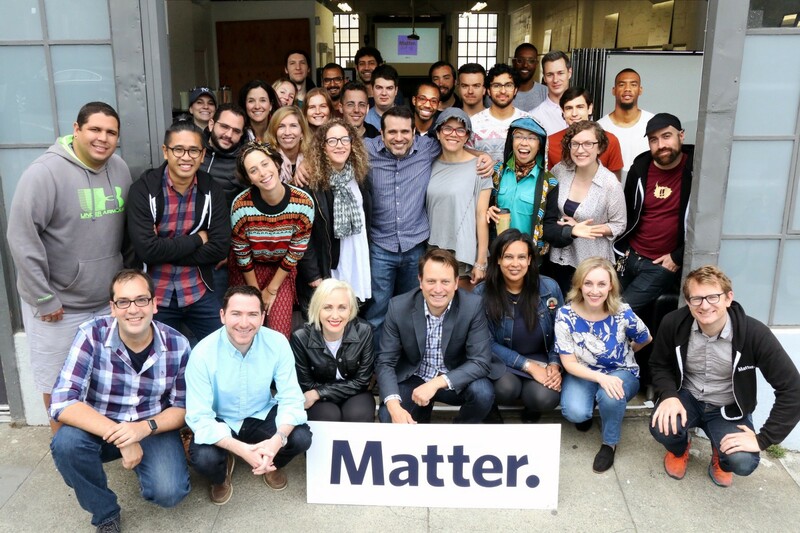 I’m proud of the impact we’ve made at Matter, the team we’ve built, and the people that we have transformed. But now it’s time for me to explore. Recently I’ve come to the realization that for the last 7 years I have been in extreme focus mode. Since starting Matter from scratch in 2012, Matter has raised 2 venture funds, run 8 accelerator cohorts, invested in 73 portfolio companies, brought together 12 institutional media and technology partners, delivered 5 partner accelerator programs, trained local news organizations across the United States and Asia Pacific through Open Matter, assembled a network of 340 mentors, established media innovation spaces and communities in both SF and NYC, and built a team of extraordinary human beings on both coasts. We’ve proven that our repeatable and scalable venture design process works. Matter startups have raised over $53M and have been acquired by companies like Snap, Buzzfeed, and Kickstarter. In this tough early-stage media space, Matter startups have proven to be resilient, with 84% of our Fund II companies still operating or achieving an exit. And, in an industry with a terrible track record of diversity and inclusion, 50% of our Fund II founder CEOs are women and 40% are people of color. I’m proud of the impact we’ve made, the team we’ve built, and the people and organizations that we have transformed. But now it’s time for me to flare. For the last two years I have tried to secure Matter’s future. While I succeeded at figuring out how to successfully expand Matter and its unique culture to NYC and to tranform Matter into an organization that could continue to operate if I were hit by a bus, I have yet to successfully raise Matter Fund III and we’ve come to the end of our runway. As the investment period for Matter Fund II has now come to a close, I have decided to pause raising Matter Fund III and take a step back to decide where I want to take Matter and, most importantly, what I want to pour myself into next. That could take many forms, from deciding to raise Matter Fund III with a different strategy, to pivoting Matter to a services business, to starting my next company, to taking a leadership role at an existing company in media, venture capital, technology, education, or government. 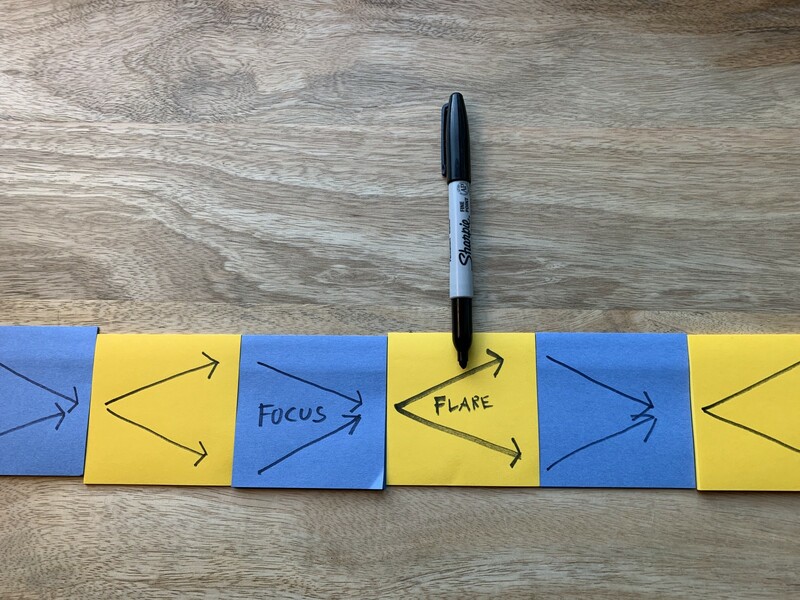 The whole point is I need to flare — get out into the world, have lots of conversations, and generate multiple directions before focusing on one. So if you’re up for exploring possibilities, let’s talk. Up until this exact moment I haven’t allowed myself to think about anything besides figuring out how to keep Matter alive. Matter is my baby. And I have made the classic (and inevitable) founder mistake of intertwining my identity and my self-worth with the identity and the success of Matter. That’s not healthy. That’s why I need to take a step back. So I am allowing myself to separate the two as I explore potential futures for myself in which Matter continues — and in which it doesn’t. I’ve been focusing too long. It’s time to flare. The practical implications of this are that the Matter accelerator program is on pause indefinitely and I have knocked down our burn rate to the studs. The Matter spaces in SF and NYC have been subleased and, effective February 1, the full-time Matter team will just be me. I will continue to support our portfolio of 73 companies across our two funds. I may also continue to provide Matter services like bootcamps, workshops, consulting, coaching, and speaking. I will do this full-time for now but this may shift to part-time in the future depending on how my personal exploration takes shape. I don’t make this decision lightly. In fact, I’ve been struggling with it for the last 6 months. But if there’s one lesson that all Matter entrepreneurs know, it’s that sometimes you have to “Kill Your Puppies” in order to truly make your venture succeed. So that’s what I’m going to do. I still fundamentally believe in Matter’s mission to support early-stage entrepreneurs and leaders within essential institutions of journalism to build a more informed, empathetic, and inclusive society. Journalism and democracy are now under attack around the world. Social media giants have demonstrated that they cannot be trusted to make decisions that are in the best interest of their users and of democracy. Mission-driven media entrepreneurs are needed now more than ever to build alternatives and to strengthen our media ecosystem. And existing media institutions need to become more resilient by transforming their culture. The world is moving so fast that media organizations will only be relevant, sustainable, and impactful in the future if they focus on building culture, people, and processes that enable them to constantly be understanding the needs and behaviors of their audiences, leveraging emerging technologies, and seeking sustainable business models. That starts and ends with culture. Matter is a community and it is a community that will continue. I am forever grateful to each and every one of you who have made the last seven years of the Matter accelerator program possible. 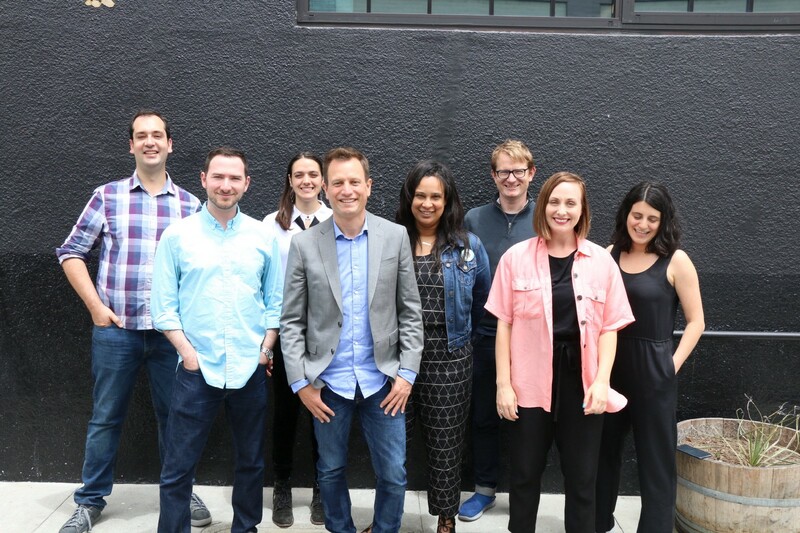 Our founding institutional partners, KQED, Knight Foundation, and PRX, and my co-founder, Jake Shapiro, made a huge bet on me when Matter was only a crazy idea on a whiteboard. After we proved out our process for entrepreneurs in Fund I, The Associated Press, McClatchy, CNHI, and AH Belo made a bet on us that we could expand those offerings to our partners in Fund II. And when we decided to expand to NYC, The New York Times, Tribune Publishing, and Tamedia made a bet on us that we could successfully replicate our model and, most importantly, our culture in a new city. Steve Grove of the Google News Initiative has had our back at every step of the way, first by becoming our technology partner, then by supporting our expansion to NYC, and then by enabling us to offer our Open Matter Bootcamps to local news organizations across the United States and Asia Pacific. And Google for Startups has connected us into a startup community that has enabled us to learn best practices from around the world. I am thankful for the entrepreneurs from our 73 portfolio companies for trusting us to invest in their companies and guide them on their journeys. We may have been investing in them but they were the ones really betting on us. Entrepreneurship is hard. I see the grit and determination and creativity of founders every single day. The highs are high and the lows are low and the chances of failure are almost certain. I believe many of our investments will succeed in fulfilling their bold visions AND the truth of the matter is that most entrepreneurs we invest in will fail. It’s the nature of the beast. But regardless of whether their business venture succeeds, I know that the Matter experience has transformed each and every founder who has come through our door and I believe in the impact that these incredible humans will have in their current venture, their next venture, or in leadership positions at the most influential organizations throughout media and technology. That is success. We have built an incredible team at Matter and the thing I most regret is that I haven’t found a way to keep this team together. Everyone who chose to work at Matter made a bet on me and I’m grateful for that. Each of our employees has made me a better leader and a better person through their example, their empathy, their creativity, their grit, and their gifts of feedback. Lara Ortiz-Luis, Ben Werdmuller, Pete Mortensen, Roxann Stafford, Josh Lucido, Liz Kopp Morrison, Shereen Adel, Lindsay Abrams, Kourtney Bitterly, Nikita Shamdasani, Rebecca Bowring Radnaev, and Jigar Mehta, I hope to work with each and every one of you again one day. Thanks also to our Google News Lab Fellows, our Morehead-Cain Scholars, and our Stanford GSB Associates who got thrown in the deep end every summer and thrived as true members of our team. I am also thankful for the guidance of Matter Advisory Board members past and present who have been the sounding board for Matter’s strategy and have given me encouragement and confidence through Matter’s own drunken walk. I am especially thankful for the steadfast support and guidance from Jake Shapiro, Jim Kennedy, Tim Olson, Andy Pergam, John Boland, Kerri Hoffman, Steve Grove, Jake Smilovitz, Nick Rockwell, Jeremey Gockel, Pat Talamantes, Craig Forman, Matthew Ipsan, Nicki Purcell, John Bracken, Ben Wirz, and Pietro Supino. Finally, I want to thank our mentors — 340 strong! — who volunteered their time, their advice, their personal narratives, their “gloves off” feedback, and their connections. Matter’s core team has always been small and you were the leverage that made Matter possible. Thank you all for creating a community that continues to change media for good. Onward. Thanks to Ben Werdmuller and Pete Mortensen. This is where the Matter community gathers to tell stories on their journey to building the future of media using a human-centered, prototype-driven process. You'll hear from our entrepreneurs, mentors, partners, and us. Learn more about Matter Ventures at www.matter.vc.